The reigning search engine giant Google has added another feather to its cap with the purchase of UK based mobile visual search start up Plink. This news was officially announced through Plink’s blog, but the acquisition amounts were not disclosed anywhere so far. This may be Google’s first ever acquisition in the UK. Once again the search leader reiterates its aim to acquire at least one company a month. Housed in Oxford England, Plink is a two person initiative ventured by PhD students Mark Cummins and James Philbin. They were comfortably positioned in the Google Goggles project base in Santa Monica, California as per the take over terms. 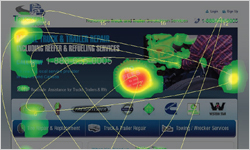 Google Goggles team is the one specializing in the visual search project for the search giant. The founders said that Plink has also held discussions with British galleries including the Tate over potential partnerships. 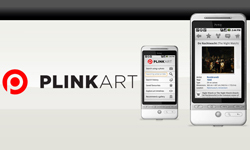 Plinkart is the first product from this venture which is a mobile application. Enabling you to identify paintings and artworks with just a snap from your phone’s camera. Also, users can then share the photo with friends and also click through to buy a print. Plinkart, launched just 6 weeks ago and was so popular it is reported that the application has been downloaded more than 50,000 times within this short span of time. The application, which only works on the Android operating system, will still be available but not updated. This purchasing gives Google the ability to improve its video and photo search ability. The visual search engines of today seem to have limitations as they don't actually search for photos and videos on the Internet. Instead they search the language used by web publishers for describing their images and videos. If Google can overcome this shortcoming by further developing Plink’s technology, it will certainly be a landmark victory for Google not only in opening up a powerful visual search engine but also in building a major ad stream. A small purchase for the likes of Google but another opportunity that Google doesn't wish to squander! With the acquisitions and mergers, I think Google is not only 1 step ahead – but way ahead in planning out things in such a way that there would soon be no area of business left unturned. Indeed Google is definitely on the path of being one of the most sought after company in the near future.